Storage friendly furniture is the ultimate need for a room to be uncluttered! One should just be much clever while selecting the furniture for his room or home which may be spacious or short spaced! Use the custom sizes of all furniture pieces to use every inch wisely just in case if you are having a short spaced room interior! We have a solution here to build your own furniture with custom dimensions and your own personally added features and it also be much cost-effective! Bring the pallets in home and design whatever you want in rustic wood style and also in any size to give a smarter fit your space! 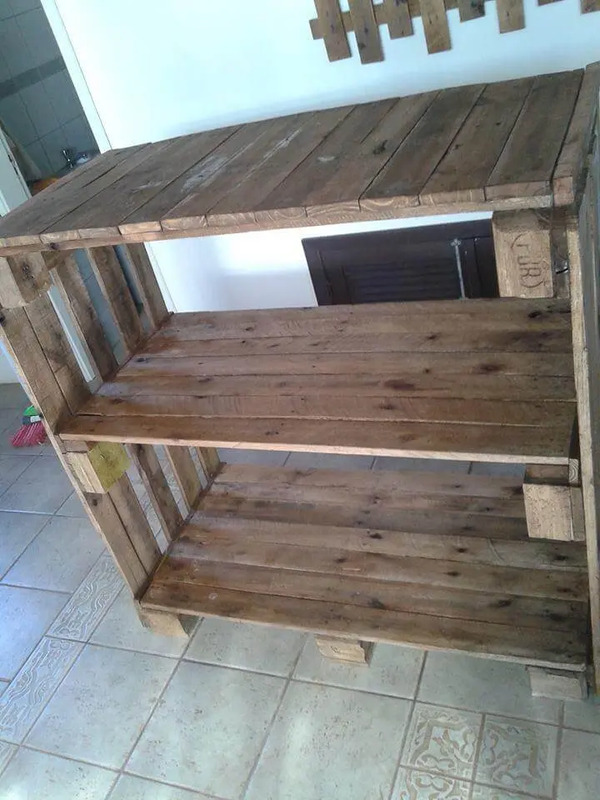 This DIY pallet 2 tiered storage shelves unit is here to hold all of your attention, a rustic dainty pieces of furniture, pure hand-built using pallets! 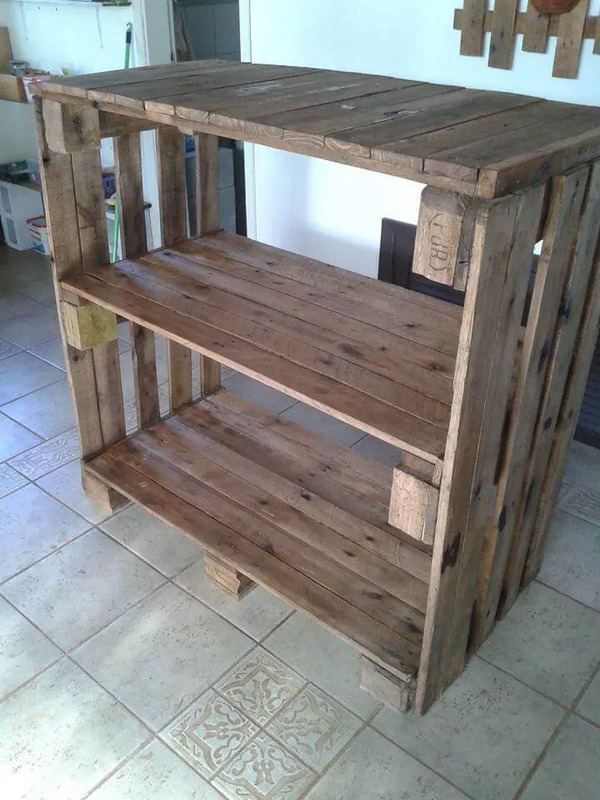 It can also be used as rustic pallet bookcase if you place it in your living room or kids study room and also have mind-blowing qualities to serve you as a decorative station! Apart of these amazing roles, it can also perform as a pallet console table with your display screen on the top and other media items organizer on the lower shelving levels! Possibilities are just countless! Regain the pallet into beautiful storage friendly furniture shapes, just like this 2 tiered bookcase design! 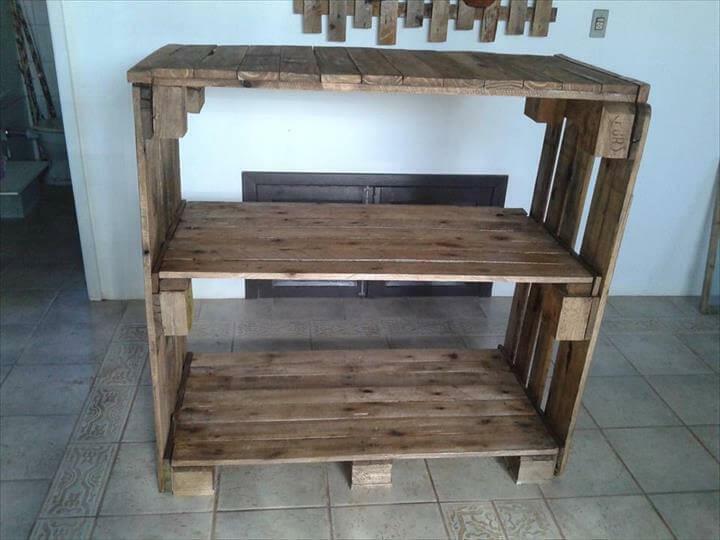 This awesome rustic yet functional storage unit can be used in number of ways! A simple and timeless pallet wood project to install fantastic storage units to organize the home clutter! Manage a good stock of pallet boards and remove the chocks from a few ones to install the side walls! 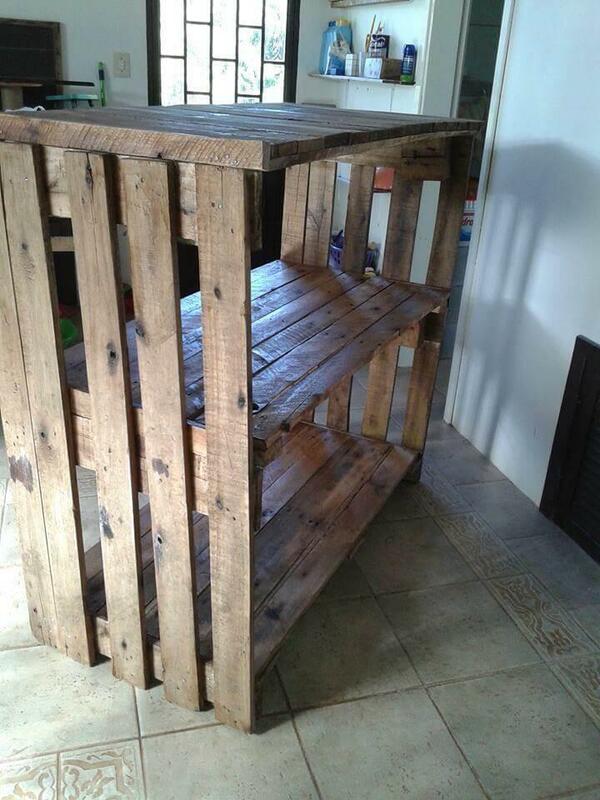 You can also use the dismantled pallet planks to do this! Now add the shelving supports at pointed locations and add the prefabricated pallet shelving levels to get as much shelves as you want to accommodate your storage needs! This storage or shelving unit is just best to use as a living room or office bookcase and can also behave as a decorative station to create enchanting and showy display of your favorite decors and interesting items! There are unlimited possibilities to use it as it can also be used as a media console table in your media or living room to hold your TV or LCD TV!